Are you still having production shortages as the other post in here mentioned? When do you expect them to be resolved? What part are you not able to get? All production issues have been resolved. We were having issues with our dimmer vendor. Mr. Gweilo 420, Summer, Vapor_Eyes and 9 others like this. Excuse my ignorance, but what is a bling?! I also want a flowerpot ... but until I rain money or find a suitcase full of this $-> my e-nano has fulfilled all my needs , I also have a junior brick but it is only used outside the home! Thank you so much for your input, I'm more and more convinced I'll be happy to get it. I got both the og and jr. as well, though I didn't have the chance to try it outside yet, Canada's winter is tough and the torch will have a hard time maintaining the flame. I can clear .10 in one rip through water with the right settings. Also material quality is key! No brick experience to compare, but it hits hard like dynavap. Although I bet most of my hits will be around .10, I wondered if it can handle better loads. Now I'm convinced that I'd put my og a side and make the nano my daily driver, the og will come in place when I need its K.O power. Like this, brother...turn your mild little log vape into an Enano killer vape. :-) Don't quite know why, but water just let's me hit this thing hard and the carb'd adapter let's me clear the rig without pulling the whole gong to prevent blow back. Works a treat, it does. Oh that adapter is sick! I will be ordering it from dhgate! looks like a killer. You believe the nano + water is a killer? Because that's exactly how I intend to use it. The OG sticky brick is amazing, but the hits are hot to me. Mr. Gweilo 420, Vapor_Eyes, BigJr48 and 4 others like this. @ACE OF VAPE I was googling the e-nano when I came across this. It looks like It's been a while since you guys last did a massdrop, are you interested in making another one? that would be great! BigJr48, ataxian and arb like this. You believe the nano + water is a killer? Because that's exactly how I intend to use it. 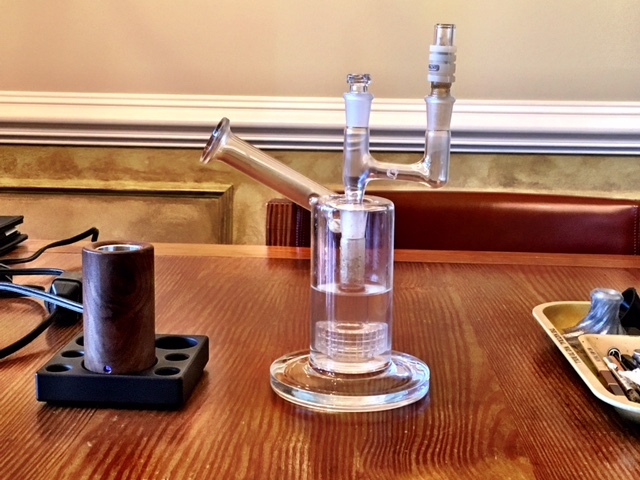 DHGate is good to get all sorts of glass....but if you ever want to get a high quality carb'd adapter, check out Oregon Glass Blowers. Mike's work is VERY good. Mr. Gweilo 420, Summer, Vapor_Eyes and 5 others like this. Not gunna happen! 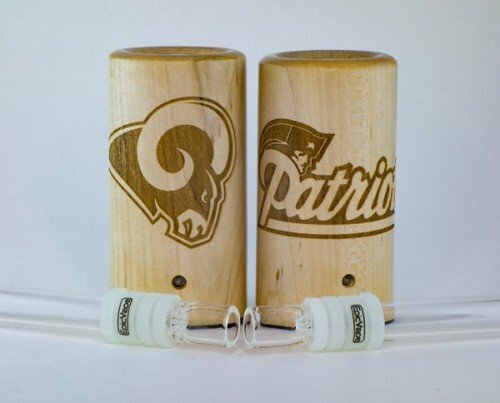 Massdrop hates vaporizers. Mr. Gweilo 420, Vapor_Eyes and ataxian like this. FUNCTION is the ease of operation and meeting operation requirements. NANO is simple and get’s the job done! I will try to be understood! Summer, Vapor_Eyes, BigJr48 and 6 others like this. There are many other ways to do it, just throwing what came first to mind. Indeed, it blends well with the desk. I'm looking forward to it, it will be a long wait (4/20) unless I get a good deal before that. Wondering if anyone knows how much it was priced on 4/20 last year. Vapor_Eyes, BigJr48, arb and 1 other person like this. Before 1970 esoteric speaking was kind of how surfer’s would speak! SURFER’s are more innovative in there mind’s! People in the USA made fun of me in the corporate world I come from. VelocityREST, Vapor_Eyes and arb like this. Driver 8, hujdimislav, VelocityREST and 2 others like this. Yo guys, which stem do you use (fixed, glass) ? and how much one can pack in the fixed glass one? Driver 8, Whissmu, ataxian and 1 other person like this. Look use what you want! There is not a right or wrong way to do anything! I love a GonG 18” for a water pipe 3/4”. NANO 24/7 always on and ready for sweet vapor if you like? Others will provide more precise information. VelocityREST, Driver 8, Vapor_Eyes and 4 others like this. I mostly use a 14 mm GonG but when I do use a straight stem, I use the adjustable bowl one...not the glass screen though I do have one. Holes are bit too large as I grind fairly fine. VelocityREST, Driver 8, hujdimislav and 8 others like this. Excuse me while I use the NANO to be CIVILIZED! VelocityREST, Driver 8, hujdimislav and 6 others like this. The fixed glass screen is really opulence & I really like them with a screen added to the GonG. Some like fine grind or course? There is not a right way or wrong way! Do what work’s for you? VelocityREST, hujdimislav, Mr. Gweilo 420 and 8 others like this. I use only the adjustable stems/gongs set a little deeper than stock. I too like a medium coarse grind packed loosely - I'll stir 2 o3 3 times. I flip my screens into a bucket orientation - just cuz my other logs are that way. Dial at 6.2112 and a mystery [unlabeled jar] herb with CBD topper in the gong tonight. VelocityREST, Driver 8, hujdimislav and 10 others like this. Love the fixed glass screen stems but when dropped they don’t survive a fall like the adjustable screens stems. The fixed glass screen stems will break where the glass screen is attached to the rest of the stem. I really like the extended stems as well. I use the regular adjusted stems the most since I bought a package of 6. They will survive most falls except maybe on cement. Enjoying some GrapeApe in my Enano using a regular glass stem. Clocking in at 6.2 temp. Glad it’s Friday, it’s been a hectic week. I also like to use my Enano as a session vape. Using the nano as a handy heater? I already know it doubles very nicely as a hand warmer in the cold winter months. I was also eyeing its use as a means of heating up some shatter. I have one of those 5ml thick bottomed glass concentrate jars with a gram of shatter in it. The shatter started out as pull and snap, but over the past two months it has hardened into a very brittle, glass-like shatter. This consistency makes it difficult to use as when you try to break off a piece, it explodes into tiny fragments that fly all over. I see that the bottom of the jar sits perfectly on top of the nano and I believe it would slowly warm the shatter from the bottom, maybe at a 5 setting? Like a mini, convection hotplate? I also imagine after warming I would research something to dilute it (other than PG or ejuice) and then use it as an oil in a ccell cartridge. I don't know another way to maybe soften this shatter back to a pull and snap consistency? I can see that warming it up every time would cause it to lose its health and flavor benefits. Also, just vaped some homegrown Bubba Kush flower through my carbed nano gong. Very civilized? UnevenPizza, VelocityREST, KidFated. and 9 others like this. I used the NANO all day until before bed. In bed I was dabs off GDP ROSIN for testing! CIVILIZED = GRAPE APE OG NANO adjustable GonG + water pipe because It is the righ thing for life to be groovey or far-out! Level 9.0000000 hey that is what I said? @CarolKing your referring me to this GRAPE APE is wonderful! My 21 year old loves this one too! Vapor_Eyes, BigJr48, VelocityREST and 7 others like this. Superbowls! Email Nadia customerservice@epicvape if you want one. Oh I wish I could get access to the list. Massdrop no longer supports weed items. Vapor_Eyes, BigJr48, KidFated. and 4 others like this. I use the adjustable stem. Sometimes I load it with a tiny piece of bud. Usually I break up the bud enough to remove the twiggy bits. Other than the Epic Pic I don't own a grinder. I only load enough for one comfortable toke. I also await 4/20 to add a walnut nano. White/LSD Auto - the last plant from this batch of seed apparently leans a lot towards the LSD part of it's lineage. Much different in flavor and appearance. Vapor_Eyes, hujdimislav, BigJr48 and 6 others like this. Not to reminisce: 2012 LSD CANNABIS strain was the RAVE! I might have to grow it? I’m loving this GRAPE APE in my NANO set at 6.175 on the dial! To be honest. 7.0 was my setting until I Became critical of CANNABIS CURE! To get MEDICATED this way is EPIC! Vapor_Eyes, hujdimislav, BigJr48 and 7 others like this. Bummer. My E-Nano cracked again. I am not sure if the metal inside gets hot and expands and cracks the wood. Or, if the heat alone is cracking it. Or, if the wood shrinks and cracks. Either way perhaps a small buffer of heat resistant foam or tape between the metal and the wood would provide enough heat resistance (or cushion) to allow the E-Nano inside to do it's thing without cracking the wood. Just a thought. @ACE OF VAPE , is there anything between the metal and the wood? BigJr48, VelocityREST, ataxian and 2 others like this. I suspect the wood can shrink more than the metal allows. Though I wouldn't rule out a combination of the two. I wonder if it happens more during the heating season when the air is dryer. As testimony to the power of shrinking wood, (sheesh that sounds weird.) I made a stand for my nano from a chunk of walnut. The stand has a recessed place for the controller. The wood has shrunk around the controller. I'm sure it couldn't pry it out without breaking the plastic. Vapor_Eyes, BigJr48, ACE OF VAPE and 3 others like this. And, it's dry as hell around here right now with recent temps near 0 so that's no doubt a contributor. Not a big deal for me on all fronts because I use a whip so my Nano never leaves the stand. And, the crack is in the back at the plug connection so I only see a tiny crack at the top. As long as it keeps working, I'm fine. Still one of my daily users. Vapor_Eyes, lazylathe, hujdimislav and 5 others like this.